Bridging the Gap 'Shift' open for submissions! We are very pleased to announce that Bridging the Gap 8 is now open for applications! This year we are looking for Scottish-based filmmakers only to make 10 minute documentaries on the theme of 'Shift'. We want films to be told in the first person – either by the filmmaker or the main character. 12 ideas will be short-listed on the basis of the proposal and supporting materials. In the following weeks they will be developed through weekend workshops so that they can be pitched to a panel of experts who will commission the final 5 projects in December 2010. The films, delivered by April 2011, are intended for distribution in cinemas and festivals. Workshop your ideas with us before submitting! Scottish Documentary Institute is pleased to announce outreach workshop in Glasgow to encourage submissions to our annual Bridging the Gap short documentary film competition. We will be showing examples of past Bridging the Gap work, explain the aims of the scheme and how to improve your chances to be short-listed. Please bring along an idea for a short documentary and learn how to develop and focus your treatment. There are limited spaces available so make sure to book your place early. We look forward to meeting you. This two-day workshop is a fantastic opportunity to work with Noe Mendelle, Director of Scottish Documentary Institute and develop your project for Film G or Bridging the Gap. During the two days you will look at different documentaries and learn the grammar of documentary storytelling. On the second day you will be given the opportunity to pitch your own ideas and get feedback on how to take your project further. There are limited spaces available for filmmakers outside The Highlands & Islands region. To register to one of these workshops please email f.cosquer@eca.ac.uk with your name and postal address. We're delighted to give a shout to Matt Pinder's latest film The Nurture Room screening at Filmhouse and Glasgow in September and October. Please make a note in your diary and support your local filmmakers! UK 2010 90 minutes Certificate Rated 12A Documentary. Shot over a year, with unprecedented access, Matt Pinder's film follows three troubled Glasgow schoolchildren as their lives are completely transformed under the careful and patient nurturing of their dedicated teachers. 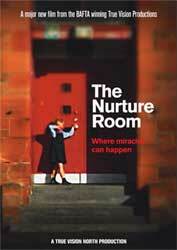 The Nurture Room is a bridge between home and school, a safe place where children can be children. In these small, special classrooms children can revisit early ‘nurturing’ experiences that they missed or didn’t get at home. This beautifully observed and extremely moving documentary will be of interest to parents, teachers and anyone with an interest in how our children are cared for and educated. Director Matt Pinder will take part in a Q&A after the screening. We are thrilled with the success Amy's film is having in the press and on the international arena; rave reviews following her TV outing on PBS/POV in the USA last week and the film was the most watched programme that day! Here is another opportunity to see the film is at ALCHEMY - Film and Moving Image Festival on 12 September 14:30 in Hawick. More info about The Edge of Dreaming here. And lastly, don't forget about the EDINDOCS festival this weekend! EDINDOCS is a brand new Documentary Film Festival which aims to bring quality, independent documentary film to Scotland's capital.